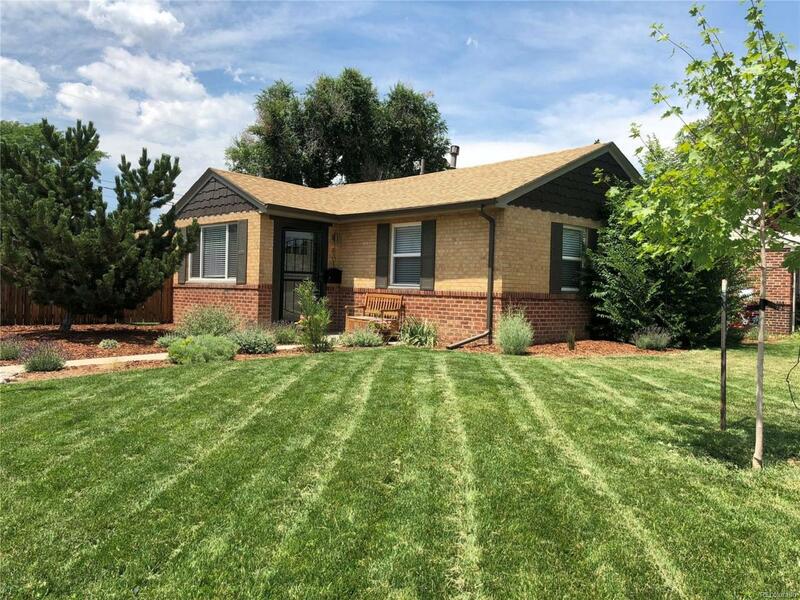 Beautiful and well maintained Park Hill Ranch on Corner lot with 2 Car Garage. Fully renovated in 2014. Beautifully newly Landscaped Yard, Patio and Garden Area w/Drip System and Smart Weather Sprinkler System. Spacious Kitchen w/Stainless Steel Appliances, Espresso Cabinets and Breakfast Bar. Dining Room open to Living. Master w/walk-in Closet and 5 piece Master Bath. Two Additional Bedrooms and 3/4 Bath. Fully remodeled in 2014. Attic Insulation increasing Energy Efficiency, Sprinkler System, Stone Patio, Landscaping and A/C with Smart Home feature added in 2015. Fully Fenced Private Yard and Garage with Storage. Top Rated Public Schools and close to Parks and Shopping. Offered by Metro Home Services Llc.